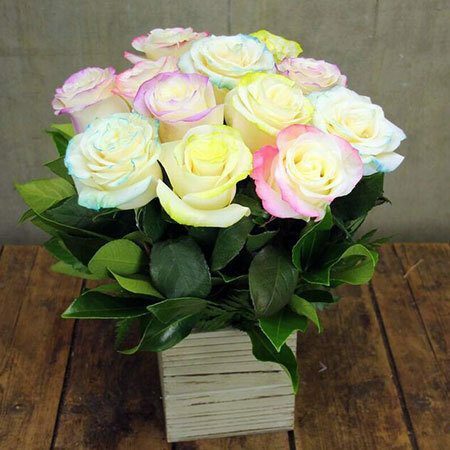 This wooden box of pastel marshmallow roses for Mothers Day looks so scrumptious you could almost eat it up. Treat mum to these gorgeous flowers this Mothers Day and also receive a FREE Ecoya candle worth $19.95 with your delivery. And if mum has a sweet tooth, why not add a bar of our decadent chocolate from our small gift add on selection. Or a bottle of bubbles to celebrate how fabulous mum is? *PLEASE NOTE: The pictured Mothers Day flowers and promotional candle offer is exclusive to SYDNEY METRO delivery only.